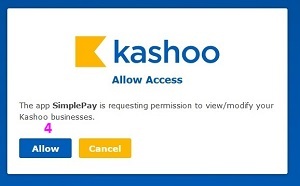 Kashoo will ask to allow access to SimplePay, Press Allow button and you will be redirected back to SimplePay. SimplePay- Kashoo connection will be established for 60 minutes, after that you will need to authenticate again. Load Account Settings page from sub menu. Select appropriate accounts against the required heads and press Save Settings button. 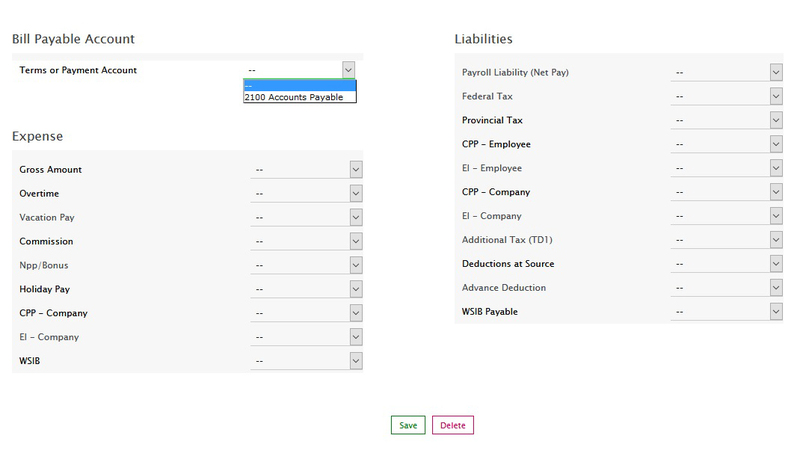 Export Your SimplePay Account Data to Kashoo. Load Export data page Add-Ons >> Kashoo >> Export Data. 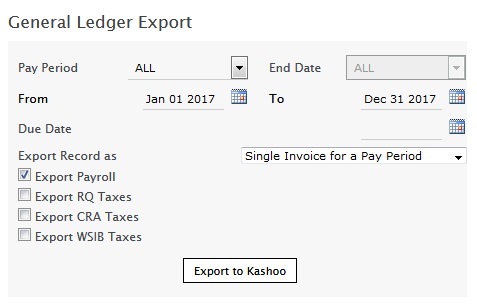 You can export SimplePay data to Kashoo by selecting pay period type and pay period end date/ date range. SimplePay will send Kashoo any transactions you've done since you've last closed your payroll period. click on this Bill to view detailed transactions.